Everyone that has been named deserves recognition of that, so let's begin #10 to #4. 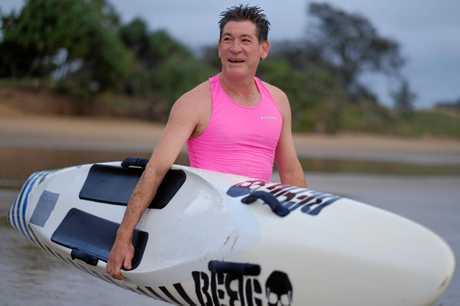 YOU can take the man out of Bundaberg, but you can't take Bundaberg out of the man. 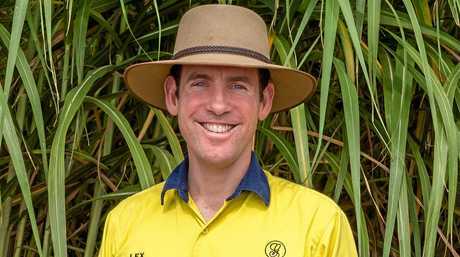 Lex Greensill, 41, who is no doubt a Bundy man through and through, isn't just influential in our region, he is influential in some of the biggest cities in the world. The sugar cane and sweet potato farmer turned global corporate giant last year had his company Greensill Capital, which was founded in 2011, valued at $US1.64 billion. He's reported on as the cane farmer who owns a bank. Speaking to the NewsMail during his most recent visit home late last year the man, who reportedly would advise Barack Obama during his time at the White House, spoke about his love for the region. The Greensill Farming Group, run by his brother Peter, employs about 150 people and is one of the region's largest private employers. PETA Jamieson's significant rise up the rankings reflects the strong work that has been done as the Chair of the Wide Bay Hospital and Health Board. This year promises to be a big year for Ms Jamieson as the board progresses its case for a new level five hospital to be built in the Bundaberg region. This is a crucial piece of infrastructure for the region's future. Ms Jamieson has more than 20 years' experience with the State Government, Brisbane City Council, private sector and the Local Government Association of Queensland. Since moving back to the Wide Bay-Burnett region, as the director of Luminous Project Services she established her own management consultancy delivering a range of economic development, leadership and advocacy services for the public and private sector. Peta is a strong advocate for the Bundaberg and Wide Bay-Burnett region. She actively works with community, commercial and government bodies such as the Wide Bay-Burnett Regional Organisation of Councils, Starfire Solutions and regional councils on a range of local and regional projects and initiatives. Peta is also a director on the Gladstone Ports Corporation Board and a member of its Human Resources Committee. ALLAN Mahoney's jump is one of the biggest in this year's Most Influential list. 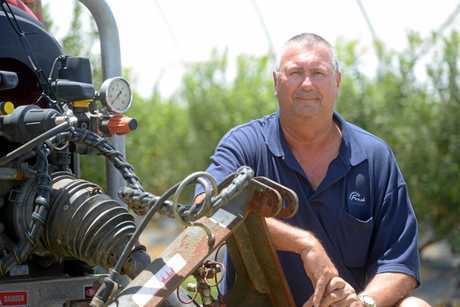 Last year Mr Mahoney, who is the chairman of Bundaberg Fruit and Vegetable Growers, came in at number 28. This year he's up to number 8. His guidance as director and chair has helped the organisation go from strength to strength. With the move towards a foodie culture and more consumer awareness around produce, Mr Mahoney's organisation has kept things progressing well for one of the Bundaberg region's cornerstone economic drivers. Mr Mahoney said with a positive outlook for 2019 the key opportunity would be to increase exports. Never one to shy away from a challenge, Allan firmly believes that diversity is the key to the industry. He has also been one of the leading voices against fracking in the Wide Bay region. HELEN Blackburn is the highest new entry for the region's Most Influential, coming in at No.7. Her high entry is a reflection of what she brings to the region. Cr Blackburn is among the region's most active councillors and oversees its governance and sport and recreation portfolios. 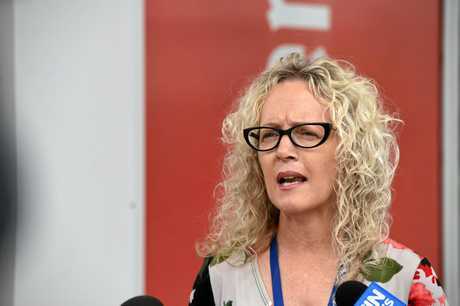 She has also taken on the challenging role of RSL Bundaberg Sub-Branch president following a period of unrest. And if that wasn't enough, Cr Blackburn runs a small business, Vanish INK. Cr Blackburn served in the Australian Army earning an Australian Service Medal for her service. 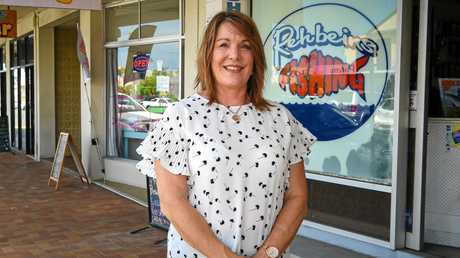 After some time living and working in Brisbane and Sydney, she returned to Bundaberg, recognising it as a safe place to raise her young family. 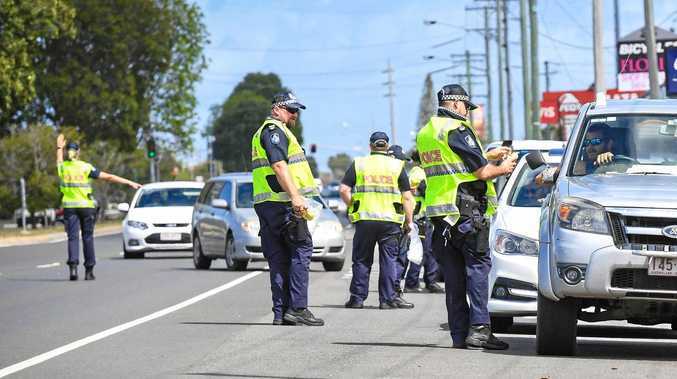 Cr Blackburn has previously worked in community-based organisations such as Lifeline, Bundaberg Area Sexual Assault Service and Bundaberg Area Youth Service. She is a qualified counsellor and psychotherapist. ASK anyone about growth opportunities in the Bundaberg region and sooner or later they start talking about the port. Mr Pascoe is manager of the Bundaberg Port and a key driver behind its success. 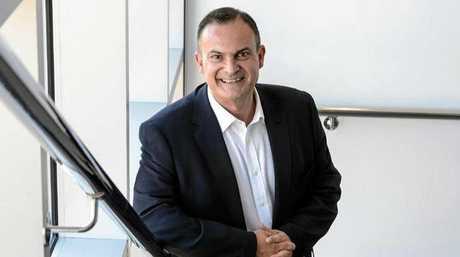 With a Regional Deal now coming to fruition it's likely Mr Pascoe will be as busy as ever as community leaders look for ways to maximise what our region has to offer. Mr Pascoe has overseen the port becoming a State Development Area and the introduction of new businesses and jobs at the facility. He also heads up the Cane2Coral fun run. LIKE John McLean, Martin Barrett has slipped a couple of places down the rankings, despite a stellar year. Mr Barrett has been a revelation since filling the shoes of Wide Bay Australia founder Ron Hancock. He has been able to grow the business while keeping the focus local. That the bank was so aggressive last year following some horrifying stories that came out of the Royal Commission about the practices at the Big Four, showed Mr Barrett has an eye for opportunity. The bank's name will get further exposure this year when the Queensland State of Origin team runs out with the name Auswide across their jerseys. The financial institution continues to play a huge role in the Bundaberg region sponsoring events and supporting services. Its biggest plus is the bank maintains its head office in Bundaberg, supporting the region through jobs and investment. Mr Barrett has a 30-year career across banking institutions both nationally and internationally. 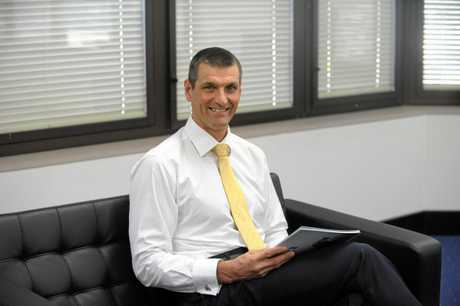 He held the position of State Manager (Queensland and Western Australia) at St George Bank. He has also acted as Regional Manager of Clydesdale Bank in London and Manchester. Mr Barrett commenced his current role with Auswide Bank Ltd (formerly Wide Bay Australia Ltd) in February 2013. ADRIAN Pennington is the man in charge of health across the Wide Bay and his influence directly effects the lives of nearly every person in Bundaberg. In his role he oversees 11 hospitals in the region with a budget of more than half a billion dollars. Last year, as well as being recognised with individual honours, the Wide Bay Hospital and Health Service was lauded as a global leader after being presented with the bronze award in the most prestigious category of the International Hospital Federation awards. Mr Pennington has close to 40 years' healthcare experience, more than half of which has been at executive and senior management levels - both within acute hospitals and leading national programs within the United Kingdom's National Health Service. With a new level 5 hospital on the horizon for Bundaberg, this year is a big one for Mr Pennington and his team.He has worked tirelessly to put forward a compelling case for a new hospital which would be a game changer for the region. During Mr Pennington's career, he has managed every department within a hospital including support services. His previous employment includes Chief Executive Officer of the James Paget University Hospitals NHS Foundation Trust and Chief Executive of NHS Heart Improvement. The latter role saw him head up a national heart disease program for seven years, during which time mortality figures almost halved. He has has also acted as an adviser to the Minister of Health in British Columbia to develop a strategy for health redesign for the province. His last role before joining WBHHS was as National Director of the NHS's Quality Accounts division. During this time he led the introduction of the legislative requirement for all health providers in England, including in the independent sector, to produce an annual quality account - a critical clinical governance tool reporting on standards of care and safety. Mr Pennington has more than 60 published documents recognised internationally and has presented in many countries including the US, Canada, Czech, Finland, Australia and New Zealand. He has lectured for Harvard and Stanford universities on topics including process improvement activity and developing strategies for country-wide service improvement. 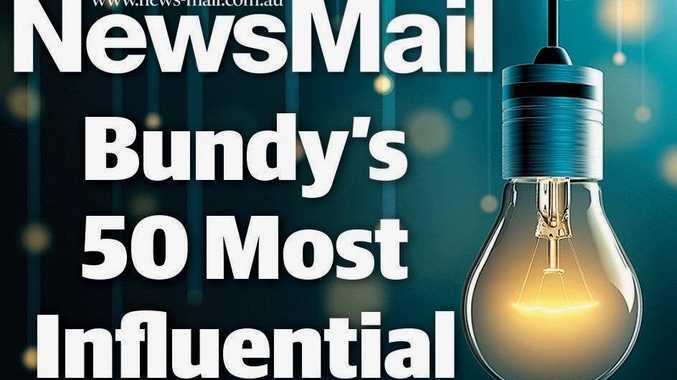 Check back in at 10am as the NewsMail announces who took out the third spot in Bundy's 50 Most Influential People.